A fun, energetic class for young toddlers focusing on gross motor skills and musicality. Children will learn how to participate in a group and take direction from a teacher. One parent or adult caregiver is allowed to participate in the classroom. Children are encouraged to participate in class, but are not forced to do so. Every child develops differently, so we focus on meeting the needs of the child where they are in each individual class. Our goal is to prepare the children to be more independent and to help them become comfortable in the classroom. This class is the perfect introduction to our “Princesses & Pirates” class. This is a high-energy class comprised of fun music, dance steps, action songs and beginning tumbling. For the child who is apprehensive about participating, we encourage a parent to participate in class with them while they become more comfortable. All children develop differently, but *most* of our students in this class are ready to participate independently after 8-12 classes. We respect the readiness of the child, however, and do not force independence in class before the child is truly ready. “Princesses & Pirates” classes perform a fun dance in our recital. 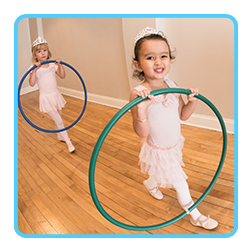 Children will learn foundational dance steps in ballet, jazz, hip hop and tumbling; as well as counting music, understanding dance terms and participating in directed classroom activities. This exciting combo class is for children who are ready to learn without parents in class. With an energetic mix of skills, games and stories, your child’s confidence will grow by leaps and bounds. Students will perform a dance in our recital that combines their ballet skills and jazzy hip hop stylings. 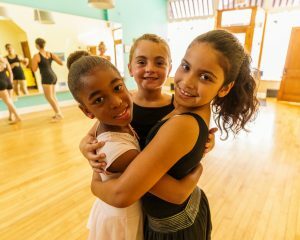 Enjoy beginner combination classes (ballet/tap or ballet/jazz) that help young dancers learn correct technique right from the start. 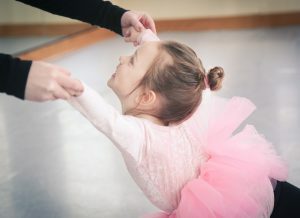 Preschool dancers will develop solid foundational steps along with the ballet vocabulary to go along with each new step. The fun doesn’t stop there, as dancers begin to understand musicality and rhythm with beginning tap dance and/or jazzy skills like turns and leaps. The dance year begins with ballet foundations; tap and/or jazz is added in November and continues for the duration of the entire dance year. Choreography for both styles will be taught in class; however, one style will be executed to stage-perfection for performance in the year-end recital. If your little one just loves to move like the Fresh Beat Band or Shake it Up, this class is for them! 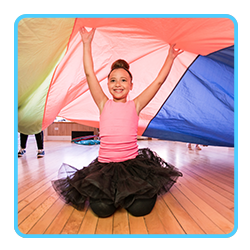 Age-appropriate music and fun, athletic style dance steps will be taught during this class. Watch your child develop strength and coordination, while improving large motor skills, rhythm and musicality–all while enjoying the songs and beats that high-energy kids love most. 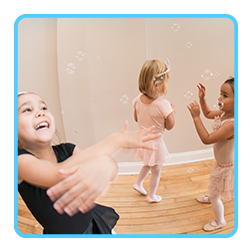 This fun combo class starts with foundational steps of ballet, but adds in the upbeat rhythm and grooves of hip hop, and/or tumbling skills including cartwheels, handstands, and backbends. These classes keep the energy level high; while still establishing a strong foundation of dance fundamentals that carry students throughout their dance journey–for whatever style they choose to learn in the future. Classical training for the developing dancer. Check schedule for current offerings and combo classes (i.e., ballet/tap; ballet/tap/jazz; etc.) Combo classes provide foundational ballet training while keeping the fun factor of an additional style. 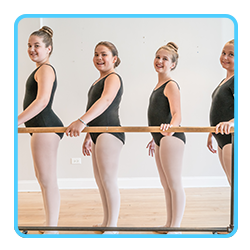 For older students (age 10 and up) ballet classes bring greater emphasis on improving technique and strength along with musicality. This energetic class combines jazz style dance with pop music by the most current artists. This class is all about high energy rhythms, and developing proper beginning jazz technique needed for leaps, kicks and turns. Students will also develop flexibility, core strength, proper posture, placement, and alignment. Young dancers will develop flexibility and strength in this fun style that combines tumbling and dance. Acro is a unique style, combining tricks like cartwheels, bridges, handstands and walkovers with basic dance moves to create a fluid motion set to music. Acro dancers will also develop strength, balance, agility, coordination, and flexibility. Pop and lock movement, isolations, breakdance tricks and tumbling are all part of this modern dance style. Students may also learn freestyle, footwork, house and other up-and-coming styles in this fresh and fun class. All choreography and moves used in our classes are age-appropriate and family-friendly. Lyrical combines the technical elements of dance with deep personal feelings and emotions. It tells a story through fluid, smooth, and controlled movement. Emphasis is placed on alignment, strength and posture, as well as performance skills and expression. Contemporary involves elements of lyrical dance, but also fuses together other styles which may include jazz, hip hop, acro and modern. Dancers will focus on building technical ability with conditioning and flexibility; from there, skills and drills for jumps, kicks, leaps and turns will help take each dancer to a new level. All dance styles will find benefit from technique development. Tech classes do not learn choreography for performance; rather, they concentrate on building better dancers who can handle any choreography in any performance situation. Please note, some tech classes are reserved for enrollment by Allegro performance company–please inquire so we can recommend a tech class that will meet your dancer’s specific needs. Each semester, we produce a large stage musical–this fall, our shows is Frozen. ALL Allegro dancers are invited to join us onstage for dance ensemble pieces and all participation fees are included with your tuition. For students who want to take their dancing to the next level, we offer no-audition Competitive Teams for students as young as age 5 by January 2020. Co-requisite classes are required; inquire for more information.